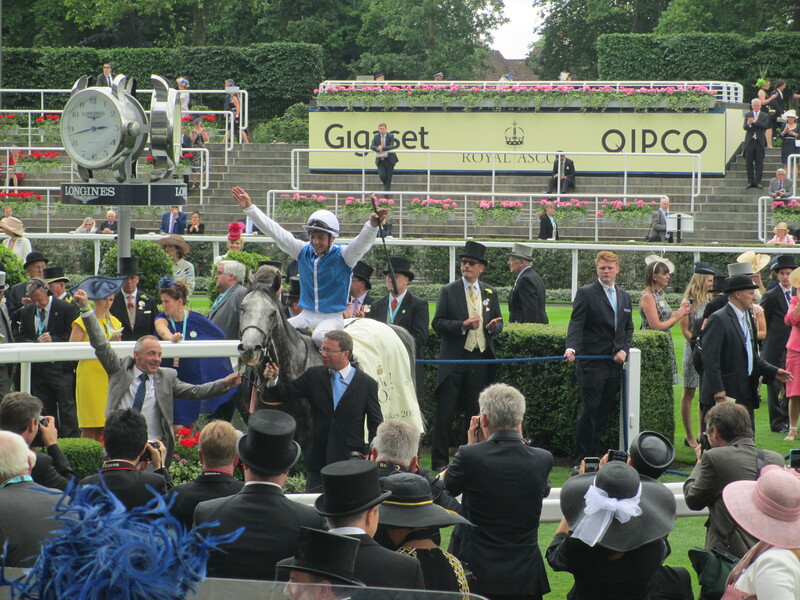 Maxime Guyon celebrates after winning the Queen Anne Stakes on Solow. Gleneagles is the clear favourite with bookmakers for his clash with fellow Royal Ascot winner Solow in the £1million Qatar Sussex Stakes at Glorious Goodwood on July 29. Gleneagles was far too good for his rivals when winning the Group 1 St James’s Palace Stakes on the first day of the Royal meeting at is best priced at even money with Racebets but as short as 8-13 elsewhere. The two and a half-length victory under Ryan Moore followed wins in the English and Irish 2000 Guineas. After the Ascot success trainer Aidan O’Brien identified the Sussex Stakes as a potential target for the son of Galileo. “Joseph [O’Brien – the trainer’s son] said before the race that he had him better today than at any stage, which was pleasing to hear. He does everything with the horse and he wouldn’t say that lightly,” Aidan O’Brien said. “He had him very well at Newmarket for the Guineas, but we couldn’t train him real hard for the Curragh, so just ticked him over and then revved him up today. He gets a bit hot before he runs and is a warm-blooded horse, but he takes everything in his stride. Gleneagles’ victory on the first day of the Royal meeting was O’Brien’s seventh win in the St James’s Palace Stakes. French trainer Freddy Head was another trainer to secure a repeat victory on the opening day when Solow landed the Group 1 Queen Anne Stakes. Head – who first won the Queen Anne with Goldikova in 2010 – also identified the Sussex Stakes as the probable target for Solow who is best priced at 7-4 (Stan James) for the Goodwood showpiece. “Solow is a fantastic horse, a great warrior who can do anything – you can wait, you can lead,” Head said after the length win under Maxime Guyon. “I hope he lasts and we have many more years with him. Maybe we will come back for the Sussex Stakes at Goodwood. We’ll see – I’m not going to run in everything that comes because I want him to last. “I’m not a fan of the Keeneland track – I think it’s a bit tight so we won’t go to America [for the Breeders’ Cup]. “He’s a lovely horse, great balance, great action, great mover, very easy to train, great mind, which is very special because at two and three he was a very nervous horse, wouldn’t travel well and things, so he has changed with time and with racing. I think we will still have some more good days with him.